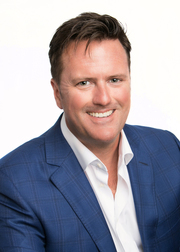 Andrew Gibbs brings his 18 years’ experience of local and national waterfront development, construction and sales experience to ERA Kingsbay Realty. As an award-winning Project Development Manager, Andrew knows how to effectively serve clients by applying useful, clear, and consistent communication practices to educate first-time and seasoned clients alike, to make confident, successful decisions. Making your home decisions can easily become stressful – but they shouldn’t be if you’re in control, and have a strong advocate backed by a strong network. As your Realtor, Andrew will be an advocate for you. Whether you are buying, selling or renting, he will work tirelessly to promote your best interests. If you are selling, he will work with you to get you the fairest price, in the least amount of time, by using state-of-the-art technology, team collaboration and ERA’s superior marketing platform. If you are buying, he will work hard to provide you with the best information and market data to inform and assist you so you can be a well-equipped buyer with the strongest possible negotiating position. Andrew has lived and worked in the Florida-Georgia area since earning an MBA at Loyola University, Maryland in 2007.